Taking fitness to the streets! 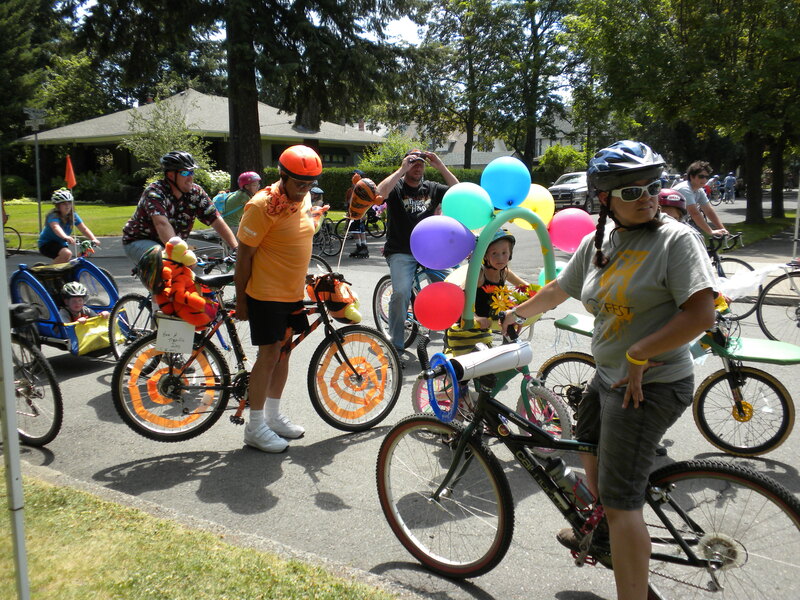 Add to the fun of Summer Parkways South Hill event on 6/22/2011 by decorating your bike. Stop by the Two Wheel Transit tent at Comstock Park and show ’em your stuff. They’ll have prizes just for taking part in the fun. 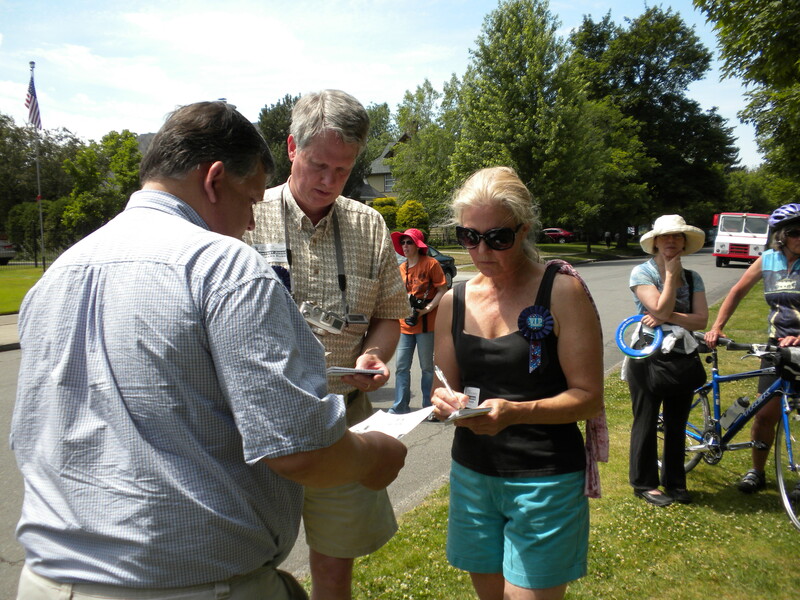 Thanks to all the creative folks who turned up with decorated bikes for the first ever Summer Parkways event and thanks also to our fabulous judges: Mayor Mary Verner, and Councilmen Bob Apple and Richard Rush! 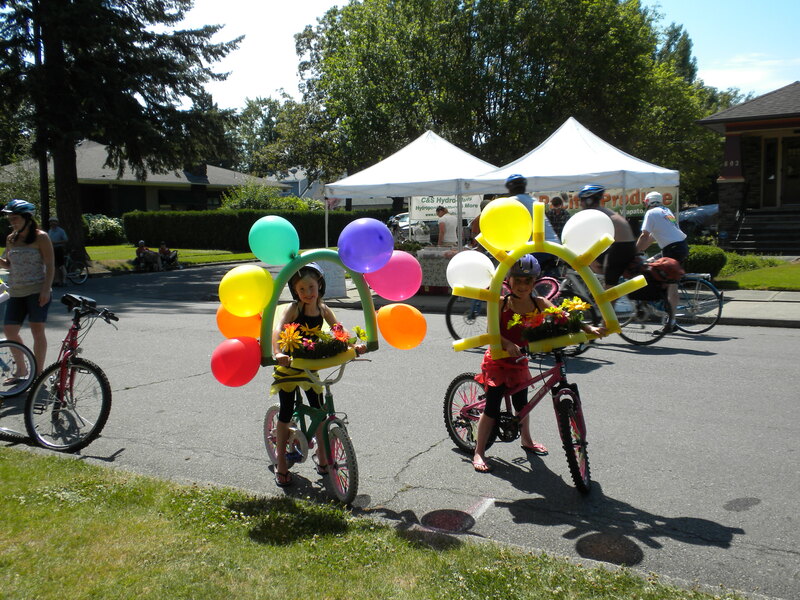 Best Group: These were also some of our youngest competitors, and they went all out with wings, balloons, and noodles decorating their window box bikes. Very creative, very functional, very cute! Best Individual: There was a tie for best individual, and both chose to make a statement with their decoration. The first, Olivia Keen, tasseled her bike with strips of newspaper and attached cans, bottles, and more to create the “Green recycle bike”. Joanne, our second winner, wheeled in on “American Spirit”, bedecked in stars and stripes, tailed by an American flag. Best Creature on Wheels: The most creative creature on the course was also one of the first people to arrive all day, Duane Lemay, decked out in orange and tiger stripes, accompanied by at least 2 Tigger stuffed animals. His “Tiggerific” bike took home the top prize, and his tiger pal was safely wearing a helmet. Coolest Family: This bike pack looked great, and rode away with the coolest family on wheels prize, congratulations to all! Don’t see a picture of your bike? Have one you’d like to share? Send it our way and we’ll get it posted right away!